28th May 2018: Some events are so monumental they become seared into the consciousness of history and the 1912 sinking of the RMS Titanic is one. Famously dubbed "unsinkable" it proved as fallible as every other human creation when an iceberg struck just before midnight on April 14 causing the passenger liner to sink beneath the waves of the freezing Atlantic Ocean less than three hours later. Approximately 1500 people lost their lives in the tragedy which would go on to inspire numerous artistic endeavours. coincidentally appeared. 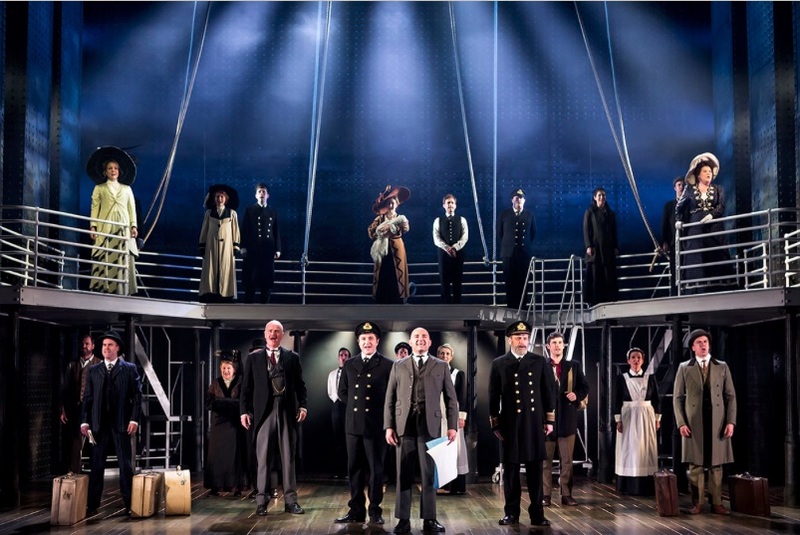 The musical is not an adaptation of the latter, which creates a fictional plot within historical events, but instead focuses on the real-life persons on board to forward a deeply moving and affecting representation of the brief life of Titanic and the aspirations of those aboard. Historians have oft viewed the Titanic as a microcosm of Western society, with its trivialities in sharp focus, and the musical's authors also take this approach but further it by giving us an insight into the emotional lives of selected representatives from each social strata, humanising the names in history books, manifesting them before an audience who bear witness to the tragic events and, where James Cameron invented an emotional focus for his film's audience, Peter Stone (book) and Maury Yeston (music and lyrics) have us empathise and invest in the characters' fates so that when the inevitable happens it strikes more bitterly than can be imagined leaving the second act infinitely poignant. "Titanic" is a remarkable ensemble piece with Yeston and Stone creating a commonality within each social group, focusing the material and furthering the drama, negating the need for a single lead character for the audience to follow and it is through the deft structure of Stone's book and the emotional impact of Yeston's compositions that we can engage with the numerous figures onstage. The musical boasts a cast (who double various characters) without a fault among them and there are beautiful performances throughout with an abundance of standout moments, including the three "Kates" of Emma Harrold, Devon-Elise Johnson and Victoria Serra leading the third class passengers in the aspirational "Lady's Maid", the tender "Harold Bride" of Oliver Marshall and Niall Sheehy's robust "Frederick Barrett" singing "The Proposal/The Night Was Alive" and the emotional "Still" performed by Judith Street and Dudley Rogers as "Ida" and "Isidor Straus" to name but a few. Lewis Cornay's "Bellboy" also makes his mark as does Claire Machin as would-be-social-climber "Alice Beane". Director Thom Southerland has great command of his company and his confident staging is simple yet inventive with Cressida Carré's musical staging seamlessly integrated. David Woodhead's design is uncomplicated in the best sense and used with great imagination. 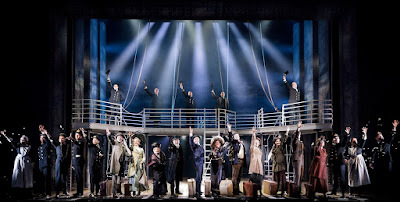 Likewise the sound generated by the six-person band, simultaneously echoing a period ship orchestra whilst executing a superbly deceptive small orchestration (Broadway originally had more than 20 musicians), which, when coupled with the company vocals, is an astonishing listen. 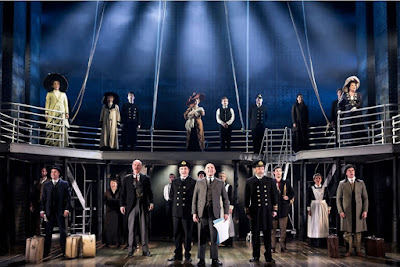 More than a simple retelling of one of history's greatest tragedies, "Titanic" is a masterwork of musical stage drama that reflects on mankind's desire for progress at all costs and the human tragedy it engenders and is a musical that deserves better recognition and is here presented in a superb production replete with stunning theatricality. Musical theatre at its best.